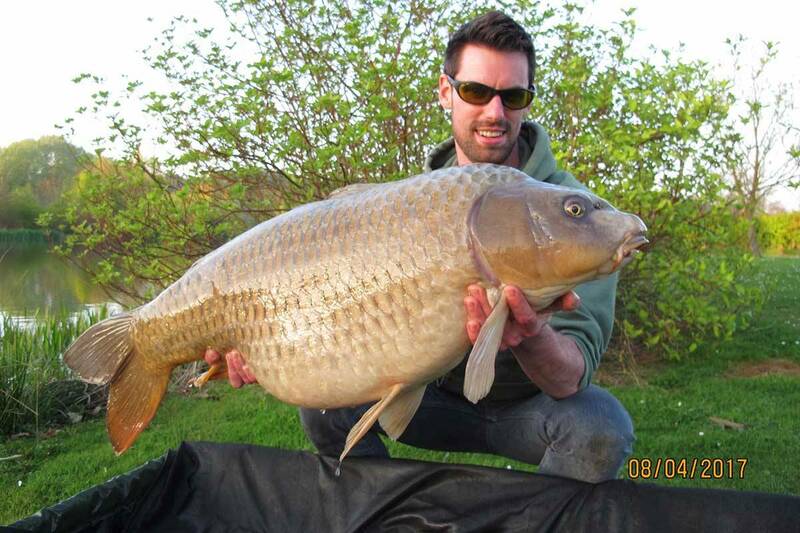 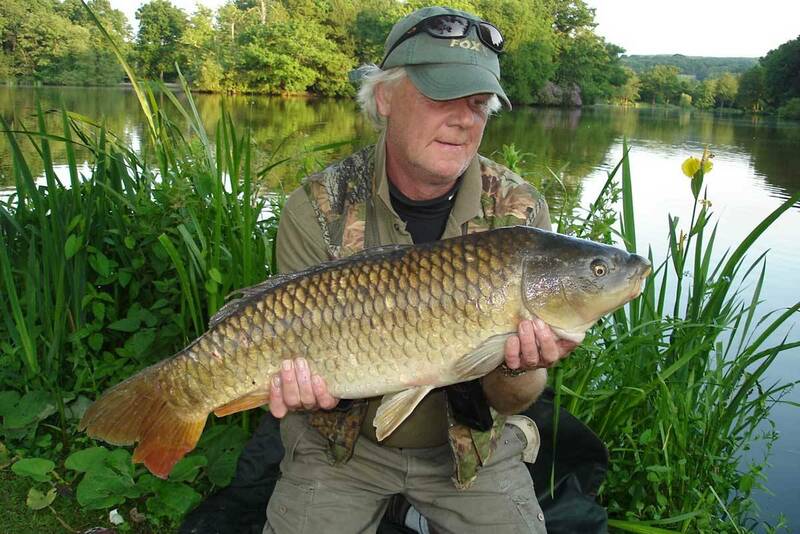 one of the country’s prettiest and most productive mixed coarse fisheries. 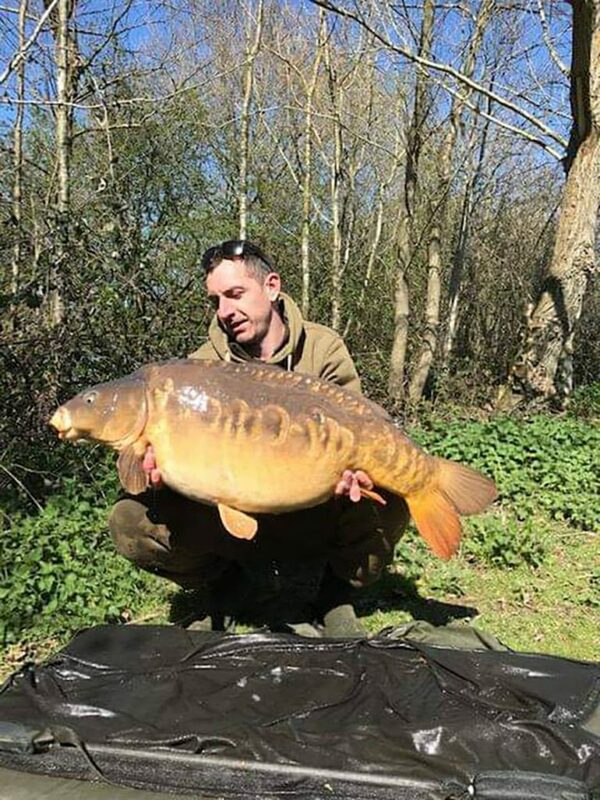 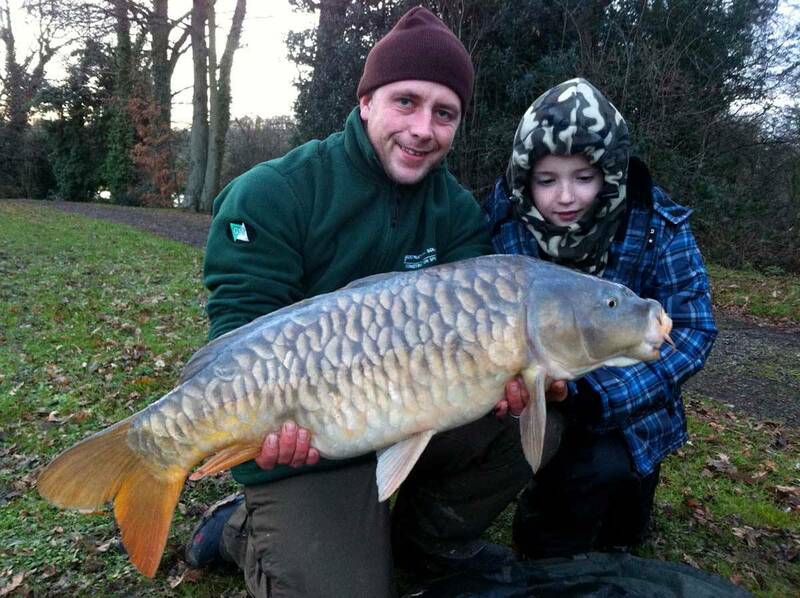 Widely regarded as one of the finest coarse fisheries in the country, Bury Hill Fisheries has four lakes offering fantastic fishing for the pleasure, match and specimen angler alike. 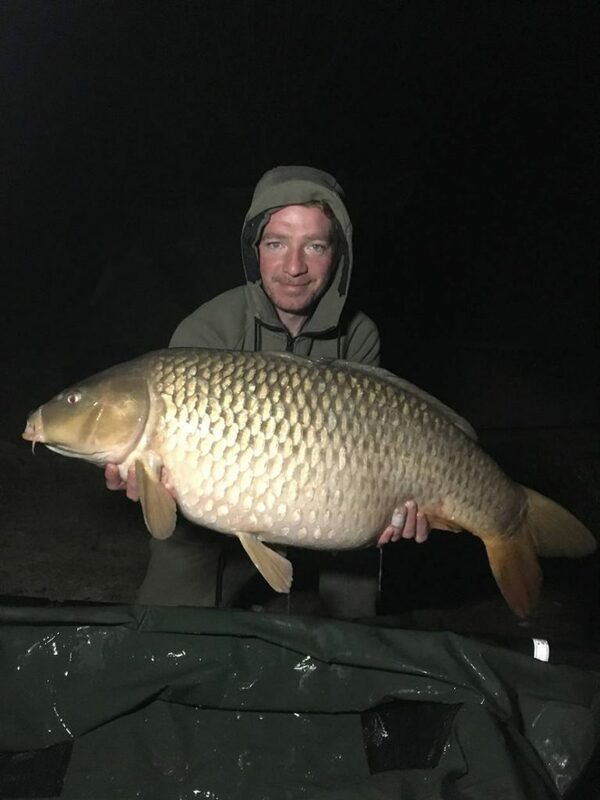 Whether you are looking for 40 lb plus carp, arm aching action from multiple catches of smaller carp, monster pike, double-figure zander, 100 lb nets of quality tench, bream and true English crucian or simply the chance of catching a huge 3lb plus roach, rudd or perch, all of this is possible at Bury Hill Fisheries. 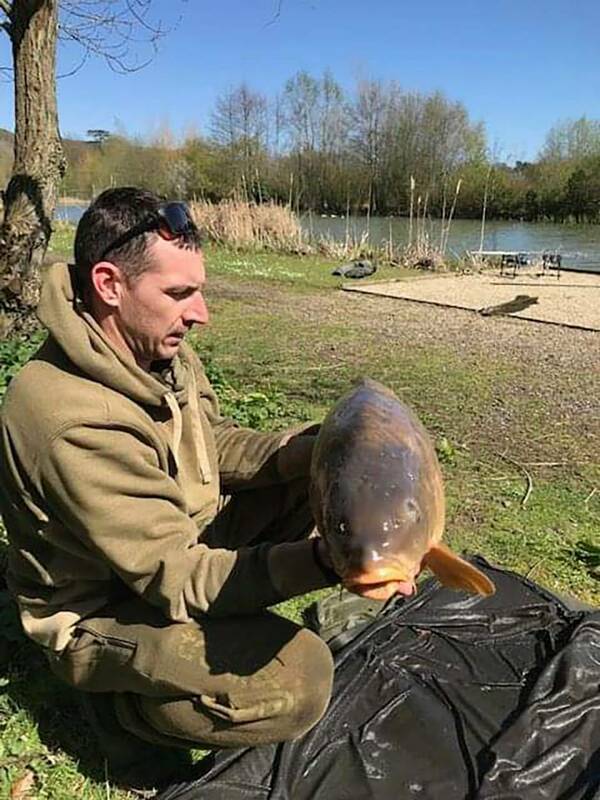 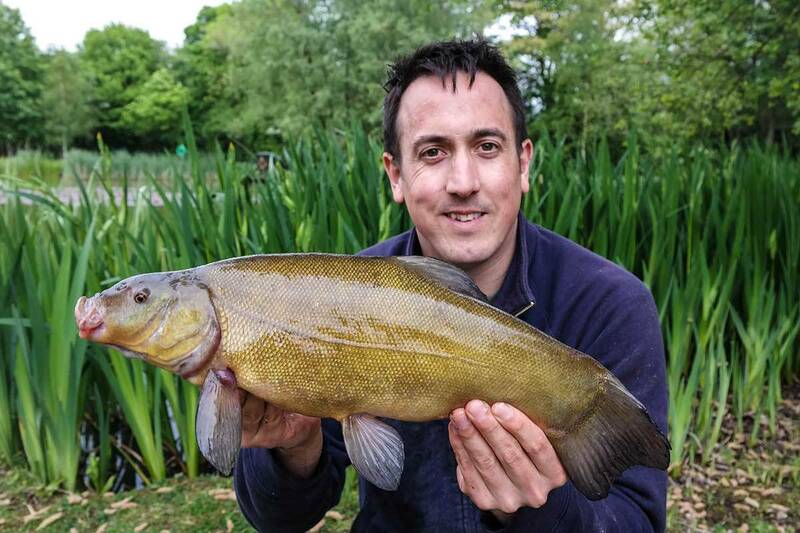 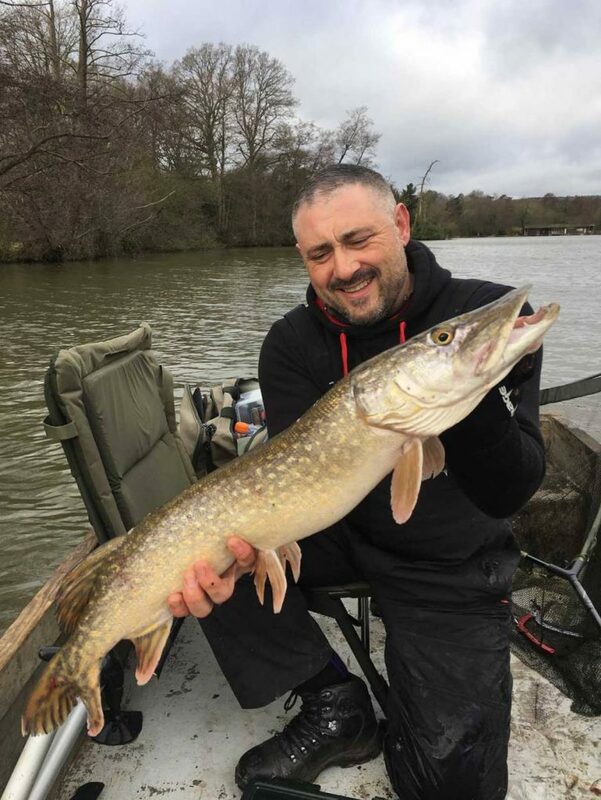 As you will see from the countless pages of catch photographs and in-depth information that follow, Bury Hill is far from your regular fishery. Whilst day anglers will still be welcome to its lakes who simply by purchasing a day pass on arrival, we continue to move to membership, which provides a range of benefits, allowing anglers greater access to our four unique lakes, which represents an important step forward for the future of the fishery with members enjoying unrivalled sport in lovely, peaceful surroundings catching a wide range of species to specimen size. 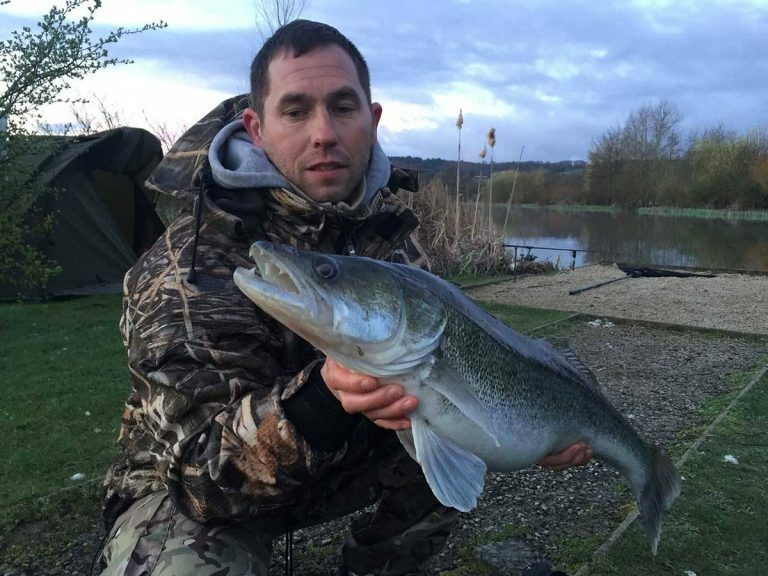 You can now apply to join our Angling Club on a day-only or day-and-night basis, fishing in a secure environment with gated access at one of the most pleasant and popular locations in the South East of England. 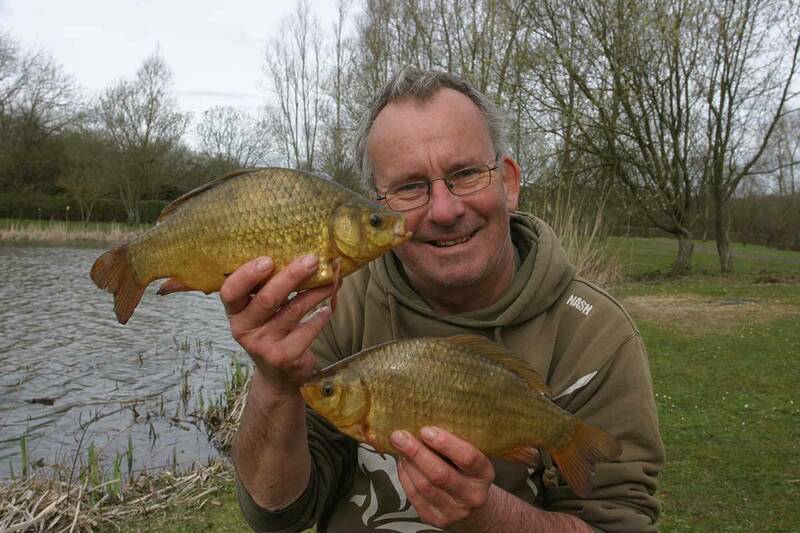 Please follow the link below for full membership details. 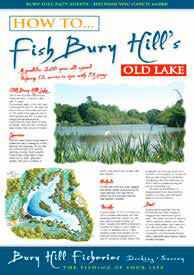 Bury Hill Fisheries is part of a 200-year-old estate set in a beautiful, secluded valley in the heart of the Surrey Hills, An oasis of calm amid the bustle of the busy, nearby towns of Dorking and Redhill, and just 40 minutes drive from London, the lakes are tucked away along a rhododendron-lined drive on a wooded hillside that drops down to the water, leaving the outside world behind. 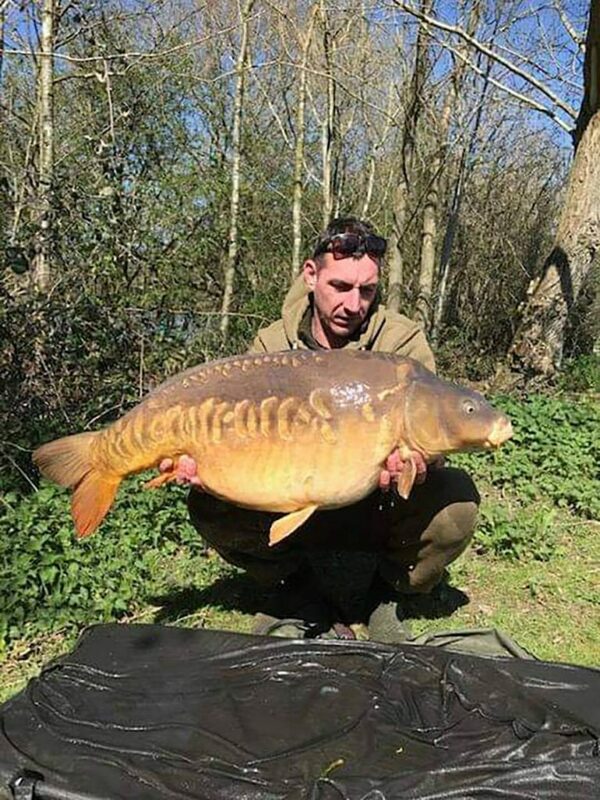 Famous since the 1960s, when it was frequented by some of Britain’s leading anglers, the Old Lake has matured into a wonderful pleasure fishery enhanced by the addition of three other lakes each offering a different type of fishing for a variety of fish sizes and species. 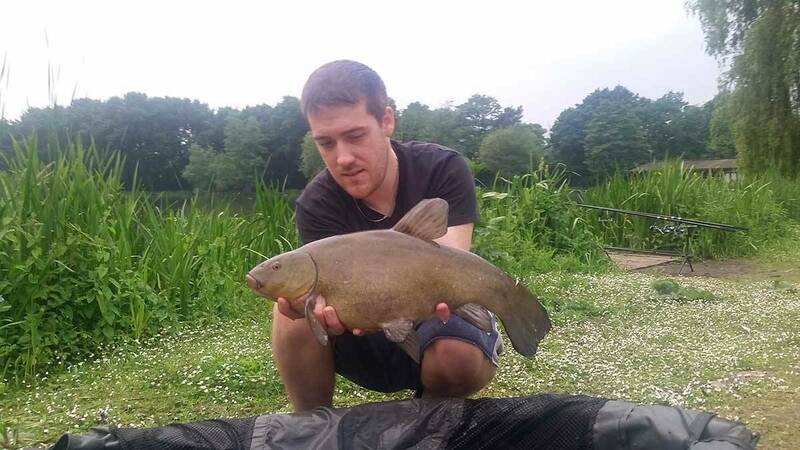 Whether you want to catch a pedigree English carp of over 40 lb, large numbers of bream and tench to specimen size, a double-figure zander, huge true crucian carp, specimen roach, rudd and perch or big pike, you’ll find it all available at Old Bury Hill’s lakes. 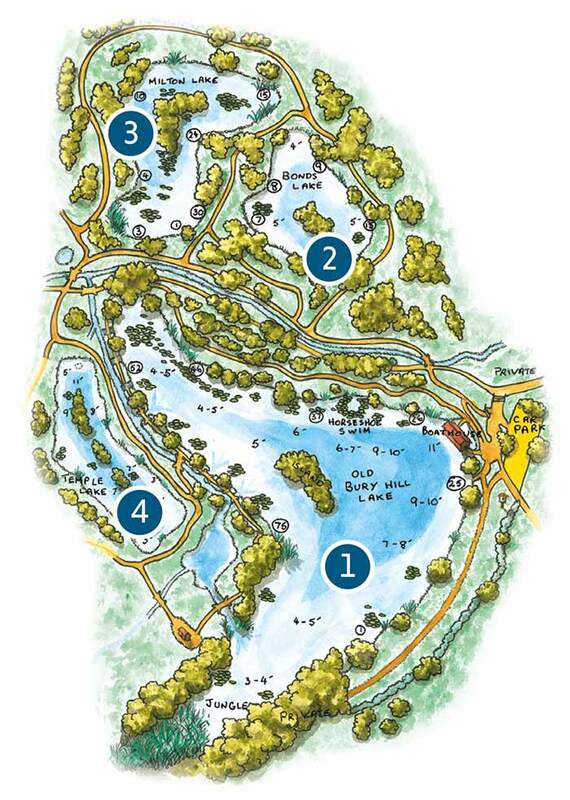 The four lakes totaling 20 acres offer a wide choice of fishing styles and surroundings, from intimate swims bordered by lily pads where you can float fish amid the bubbles of feeding fish, to distant casting for reel-churning runs and arm-aching battles with countless lively carp. 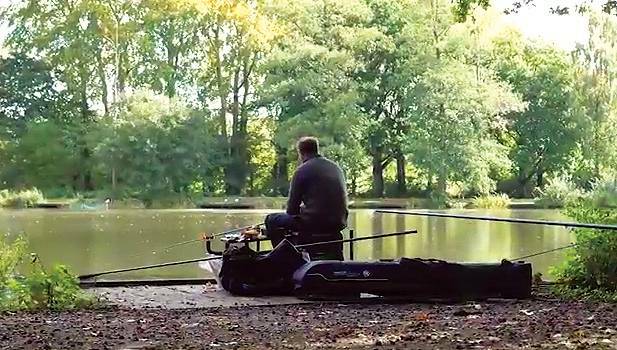 There’s a world of different ways of fishing to be enjoyed in magnificent surroundings and comfortable swims, all of which makes Bury Hill the favourite fishery for many of our anglers. 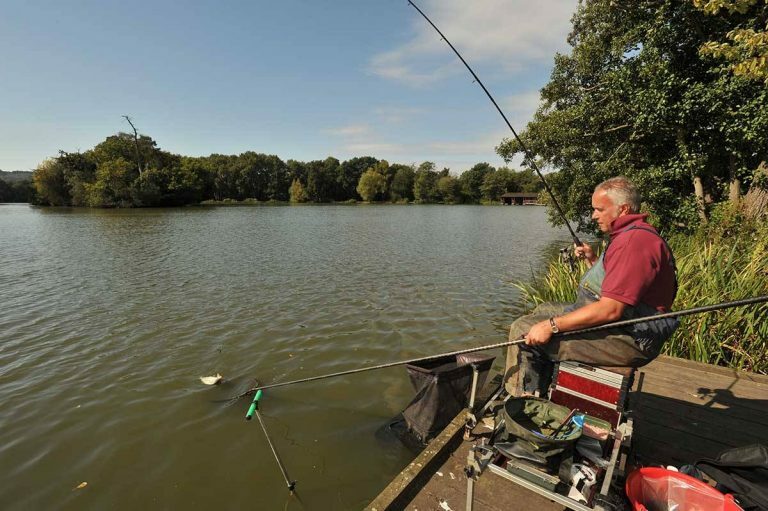 A famous fishery since its creation in the 19th Century, Bury Hill was renowned through the 1950s for tench and pike sport, and more recently through the 60s and 70s the nation’s finest match anglers travelled hundreds of miles to line its banks to compete in regular competitions. 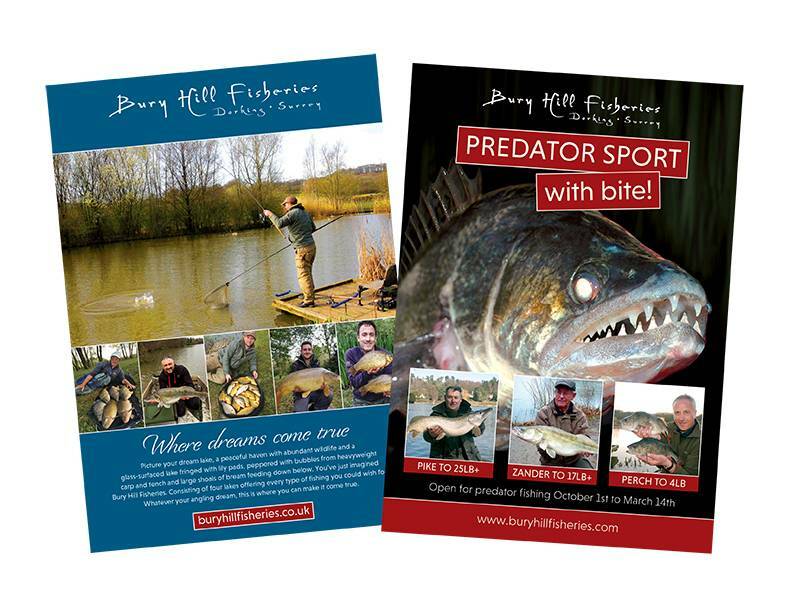 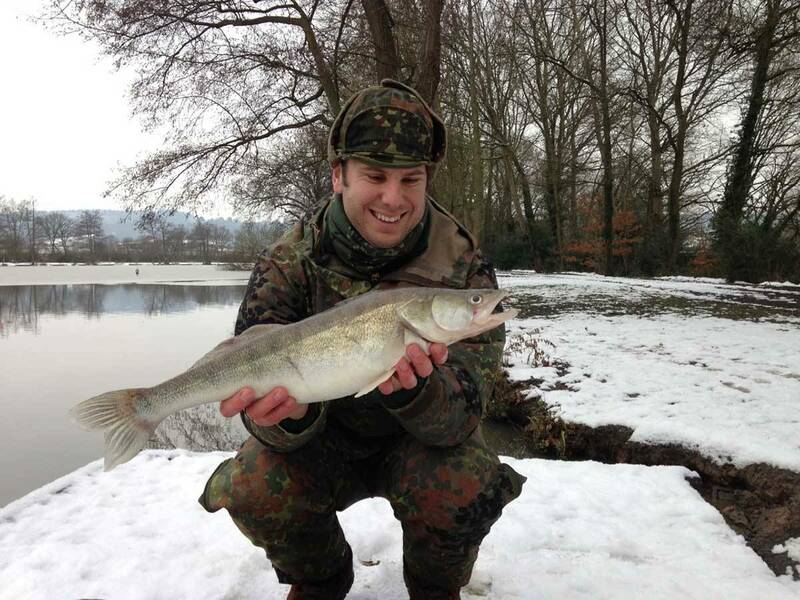 Nowadays, following years of careful fishery management and investment, Bury Hill has blossomed into an unrivalled all-round fishery, attracting specimen hunters, pleasure anglers and matchmen alike from far and wide. 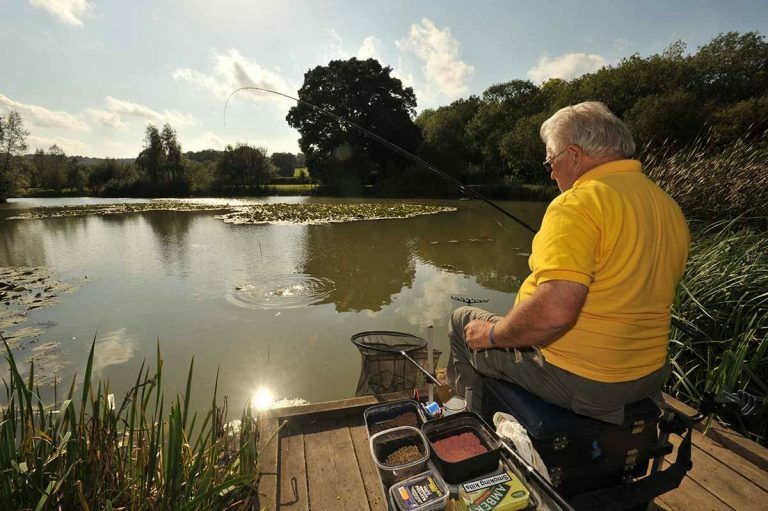 The beautiful main lake at Bury Hill, with its mysterious and overgrown jungle and magical rhododendron lined island is matched only by the prolific fishing found on the two smaller lakes situated in the lower valley, designed and created especially for pleasure and competitive fishing in the early 1990s.